JooTube.TV: Will Oscar for "Son of Saul" spur confronting anti-Israelism in leftist culture? Will Oscar for "Son of Saul" spur confronting anti-Israelism in leftist culture? Mr. Laszlo Nemes' debut feature film,the Holocaust-set, Son of Saul, finally won the Academy Award for Best Foreign Language Film, after taking similar prizes at Cannes Film Festival, the Golden Globes, and the Spirit Independent-Film awards Saturday night, also in L.A. In February 28th's Sunday N.Y. Times, Katalin Balog, an associate professor of philosophy at Rutgers University-Newark, characterizes the picture in her "‘Son of Saul,’ Kierkegaard and the Holocaust" as: "The film follows a day in the life of Saul, a member of the Sonderkommando, a group of mostly Jewish prisoners the Nazis forced to assist with herding people to the gas chambers, burning the bodies and collecting gold and valuables from the corpses. The film creates a direct, experiential and visceral engagement with these events by maintaining a relentless focus on the minute-to-minute unfolding of Saul’s world." 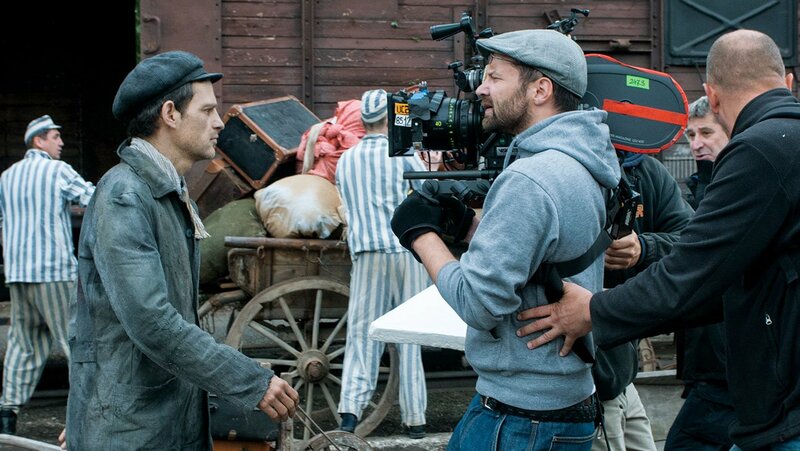 Mr. Nemes, 39, who directed and screenwrote Son of Saul, discusses what it took to produce this provocative look at the dynamics between Nazis and Jewish gas-chamber workers inside a genocide camp. His picture should renew attention to the depths of gentile inhumanity towards Jews in the modern era. Appearing at Temple of the Arts in Beverly Hills on Friday, February 12, 2016 in a knitted kippa to accept Hungarian Mensch Foundation's Mensch Award, filmmaker Nemes reveals that he is a Hungarian Jew whose grandparents were killed by Nazis. In this video interview with JooTube, he responds to the myriad of issues involved in his producing the picture. In Jeffrey Fleishman's "Oscar winner 'Son of Saul' is a collage of the unimaginable" in yesterday's Sunday L.A. Times, he writes: “Son of Saul” is “an unwavering vision of a particular kind of hell. 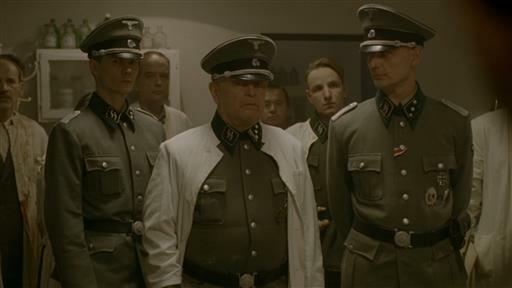 No matter how many Holocaust films you've seen, you've not seen one like this,” Times critic Kenneth Turan wrote in his review. “It's essential for us as a culture to continually see and understand that this was not an aberration, that people did this to other people and could do it again. Having films like 'Son of Saul' made and seen is our best hope of that not happening.” How, exactly? How can we claim to have come far in educating the world to "Never Again" let anti-Semitism grow, until it becomes a social threat to Jews (which could devolve to physical threat) when the champion depictor of the atrocities recognizes that Jews in Hollywood would discriminate against his opinion to protect Jews from a "stabbing intifada" by Muslims against the Jewish state? Mrs. Susanne Reyto is an author ("Pursuit of Freedom: a true story of the enduring power of hopes and dreams") and speaker about the turbulent years in Hungary after WW II. Her often harrowing childhood and her ultimate escape from Communist Hungary in the late 1950's left an indelible mark on her spirit. In this interview at the Son of Saul honors, she reminds us how the Nazi's Middle East allies imported and absorbed their propaganda makers and techniques - which they exploit by scapegoating the Jewish state - Israel to galvanize their power throughout the Muslim world. And with a world molified by Islamphobia-mongering, just who's going to stop them? 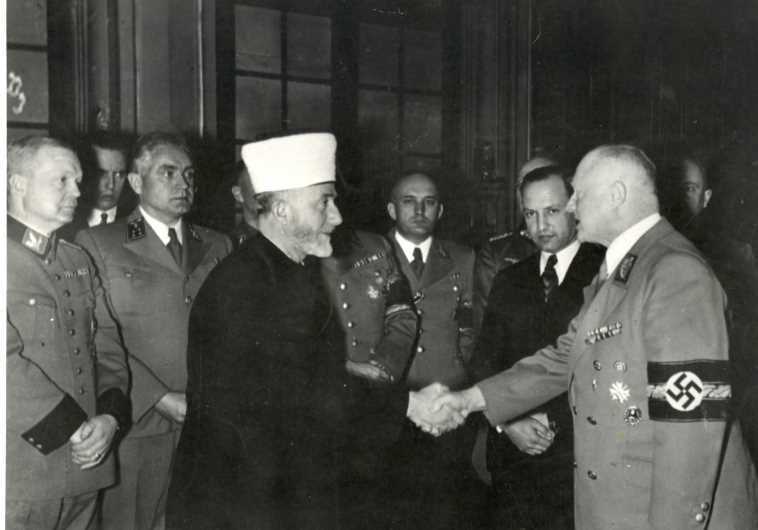 A straight line leads from the provocations of Jerusalem’s Mufti Haj Amin al-Husseini who incited against Jews in the 1920s to the “wild incitement” today that motivates the current round of terrorism, Prime Minister Benjamin Netanyahu said on Sunday. ("Thirst for destruction driving force of Arab terror for 100 years" Jerusalem Post, 29 February 2016). Despite the allegation that Hollywood discriminates against minorities (which Oscar-show producers embraced), the irony of last night's Academy Awards was that although the Academy did elect Nazi-set, "Son of Saul," the pro-Palestine-nationalism created by Hitler's Muslim-adopted strategists, necessitates Israel to distribute first-class vacations to Academy (leftist) nominees- in hopes of reversing the effects of the Nazi-Islamist-Leftist campaign to perpetuate Jew-hatred socio-politically for power and influence. Which is why- for Son of Saul to be purposeful- we must carry its message beyond 'anti-Semitism as a dynamic of history' to confront its essence in Islamic anti-Israelism- and crack the taboo against fighting Islamism (which dominates Muslims and non-Muslims) and threatens the survival of Judaism and the Jewish people. Read more about "Egyptian Islamo-Nazism and "Omar Amin" von Leers" by Dr. Andrew Bostom in Family Security Matters.